Harman has done a few upgrades to their GT-R. All dyno runs were on a Mustang dyno, on 91 octane fuel. 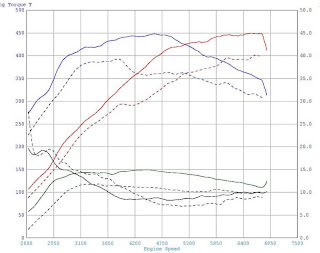 With the midpipe installed and still running the same Cobb Stage 1 map we saw a gain of 16whp and 13tq. Beyond that huge gains in response and spool can be seen along with a slight increase in boost. 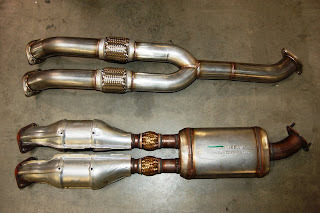 The stock midpipe is definitely a major point of restriction on the R35.